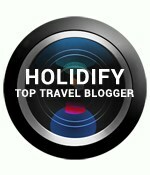 Excellent blog and travelogues. Keep it up. My wife and I ( Senior Citizen now ) have a recently acquired travel bug to see India and the world. There is a saying in Tamil which loosely translated says ‘Travel when your limbs can carry you ‘. I look forward to reading more of your travelogues .